Something about Brad Pitt and Angelina Jolie will always get people talking. About them, about their life together, about the six kids. People love a good drama and their story only seems to be about love so everybody is waiting for the drama to unfold. But it just doesn’t. After Angelina Jolie’s brave confession, there goes (perfect timing, wouldn’t you agree?) 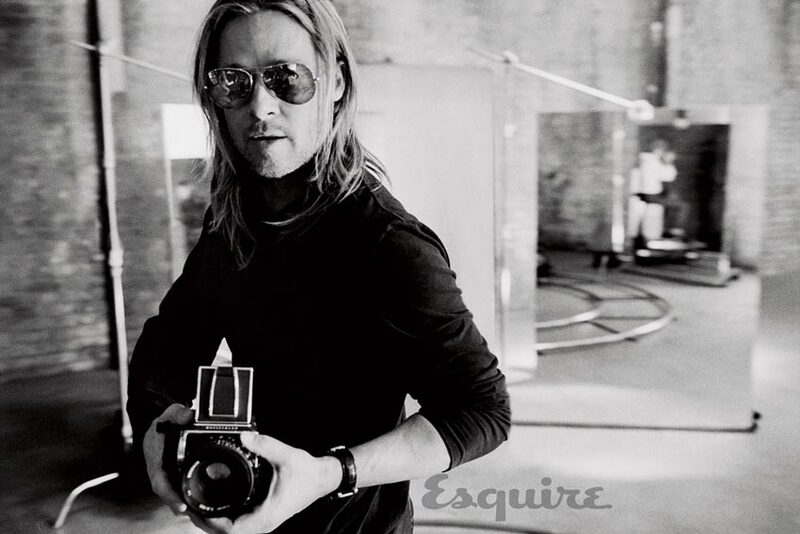 Brad Pitt gracing the pages of Esquire Magazine, the June July 2013 issue. He doesn’t look like he aged a day past Interview with a Vampire and he seems to make a name and a casual appearance with Chanel’s ad campaign as a departing point of inspiration. Or so I get the feeling. That the styling of this pictorial is hinting back at his Chanel ad days. 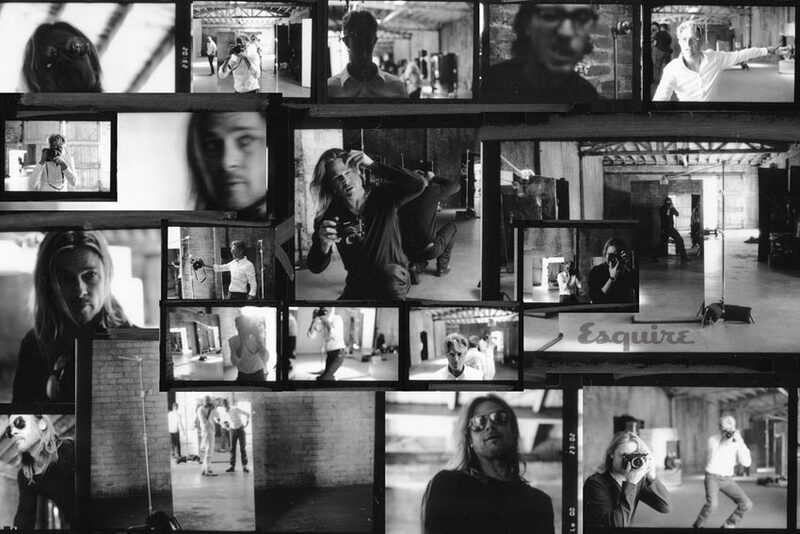 And Max Vadukul’s photographs accompany a story written by Tom Junod under the tagline ‘Brad Pitt’s Life is Larger than Yours’. 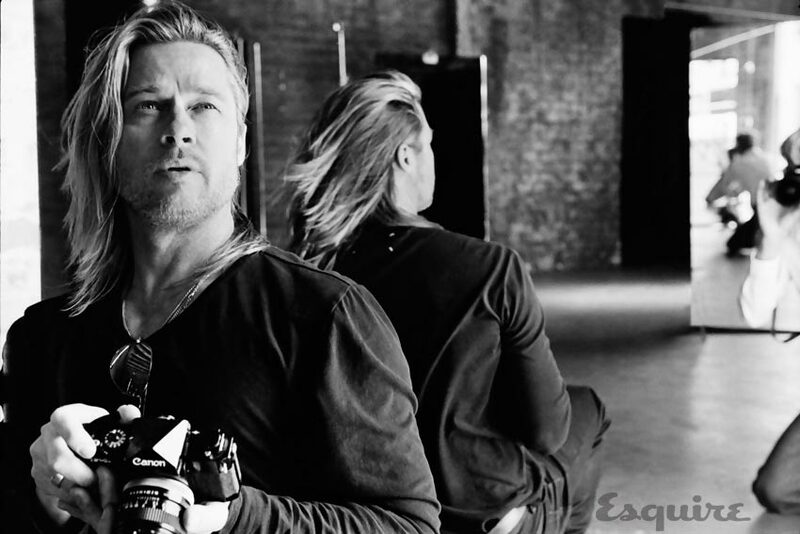 It’s basically about Brad and his simple passions: photographing and motorcycling. The interview also talks about his noisy family life and, of course, his life partner of eight years already, Angelina Jolie. And I’m thinking the title must be something especially conceived for the male readership as I don’t get its humor or irony. 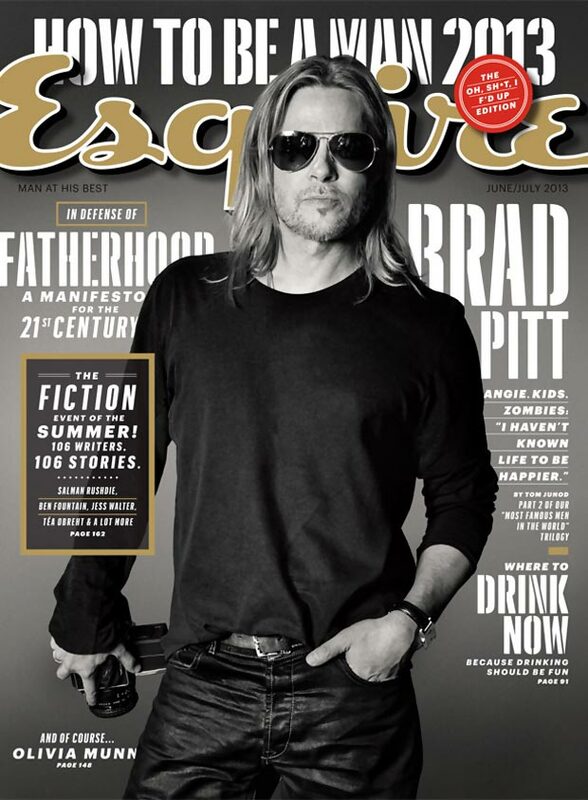 On one hand, though, I really understand and applaud Brad Pitt’s feature in a magazine right after his partner decided to go public with her medical decisions and talk about her, talk about their life together and himself. 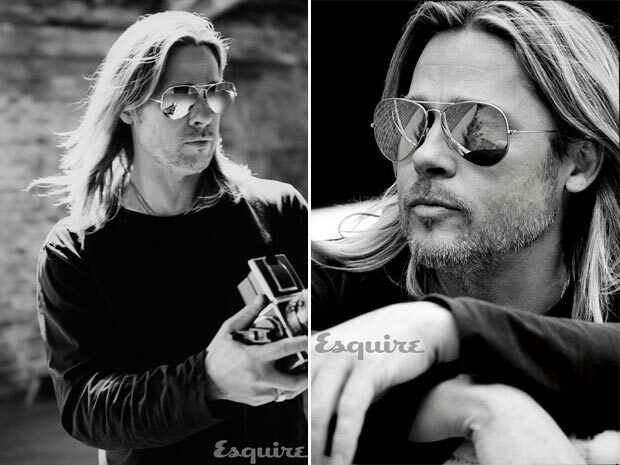 On the other hand, though… it’s Brad Pitt. And he seems to take himself so seriously that I can’t do that anymore. To my eyes, he lives in a bubble. Which he created, biensur, but I fail to see its magic. I fail to see his magic. The Pitt-magic eludes me. So I’ll just leave the pictures here, end my rant in a few seconds and hope you’ll enjoy him. If you do. And, why not, share your perspective! 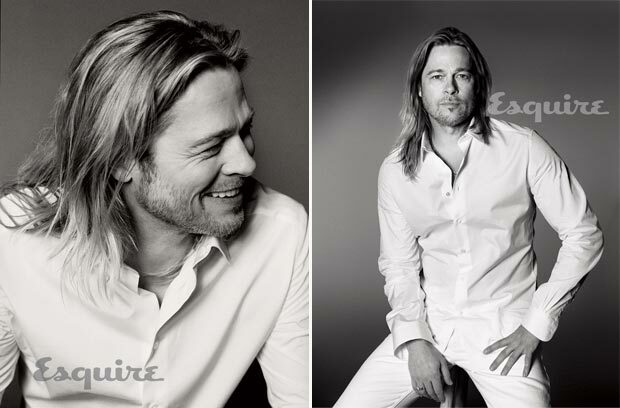 I like Brad Pitt, always have. I like that he seems to be a private individual and that he has a grounded happiness with Angelina and his children. Yes he has created his own bubble, but we all do that Kpriss in our own way. I also like that he loves art and does charity work. My brother gets this magazine so I will read this issue when he is done with it. I came here just to write exactly the same Ellington : we all live in our own bubble. It looks like there is a colective reality. There isnt. Each experience that we live make we see the world /reality in a particular and individual way. It is like a disco ball. Each one of us reflect a diferent image of the reality. awww, I like that one about the disco ball! I think I’ll keep it, ana! :-) so joyful and happy and implacably unforgiving little cold mirrors! He’s a pr*ck in that interview. I am so done with him and his happy family. I get the message by now. Really I get it. Angie and he are Saints although I do not get what their foundations, they have a few, all really do and where the money goes? Again he’s talking about his marriage to Jennifer and how he was “on drugs” and he thinks his marriage had something to do with it. Yeah right! Did she shove it through his throat? I think not. Well, before he married Jennifer he did hang around in Amsterdam enjoying weed. That’s hardly being “a drifter” as he calls himself in the interview. Being “a drifter” before he met his goddess Angie of course. Further I do not consider cannabis really as ‘drugs’. More like alcohol. Use it moderated and don’t blame others if it has become a bad habit. Blame yourself!! This is the second time he spoke like that about his former marriage. Also Angelina has mentioned Jennifer a few times. Why? I was done relating Brad to Jennifer apparently he’s not done with it…. 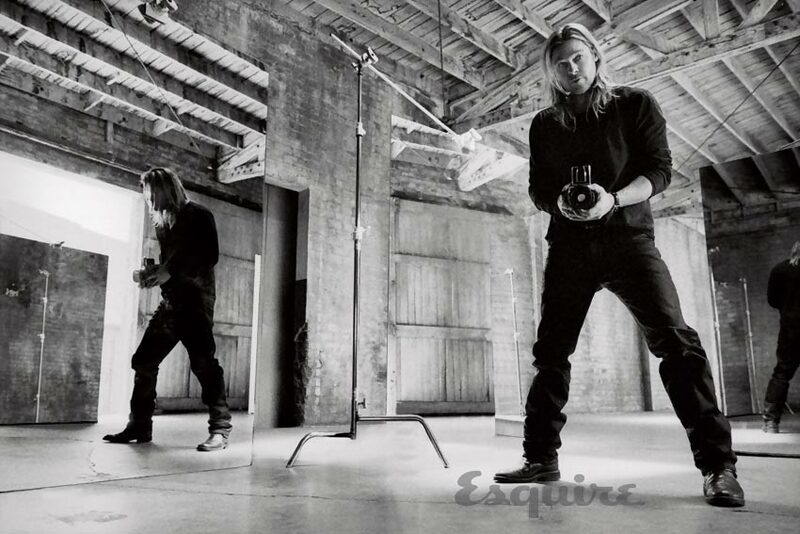 But he has a zombie film to promote so let’s dig up some ‘zombies’ for PR. A zombie film that looks in the trailer a lot like I Am Legend. The film’s budget is $170 million. Due to re-shoots because Brad was not satisfied with the result since his Plan B company is producing, they only needed another $230 million! A zombie film for $400 million? Aww, I get Plan C now…..I get it…..
Brad’s bubble shows yet cracks but soon it will burst…..$400 million? It must hurt this couple of great humanitarians a lot that so much money is wasted…. I respect your opinion but I think you are being a bit harsh on them. Although I agree that he could have saved his comments on marriage . Business is business … Charity is charity. At the end of the day, if charity is done, it doesnt matter how it was done. I mean, even if charity is done for personal promotion , the recipient of such (act of charity ) received what he/she needed and that is the only thing that matters. Lets say: if Lindsay Lohan gives food a starving person, does it matter her purpose ? Ask it for the hungry man and he will tell he couldnt care less….he ate, that is all that matter for him. It is said that the best charity is the anonymous . But lets not forget that the “stars” can promote awareness and that is important too. When George Clooney talk about Sudan, for instance. Hello ana, sorry I have been ill and not in the mood to reply…. Hmm, I can see why my reply looks harsh. Especially a few days later. Promote awareness is indeed important but I wonder if the mass really cares. Do they care? They love the idea of ‘good angels’. That’s what I have noticed. 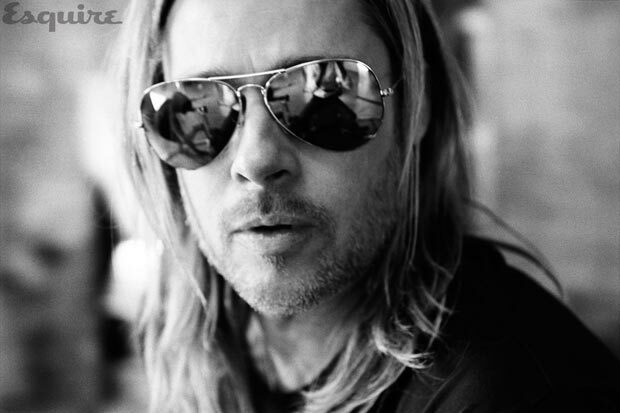 Anyway, Brad did annoy me with his remarks about Jennifer and his weed smoking…..I remember him talking about his then happy life…..Strange enough he annoys me more than Angelina. And in days where the economy is so vulnerable and the lives of many are at stake I just can not deal with a waste of that many millions for a film. Business or not business. I know charity is charity but I am afraid that all these ‘awareness’ also makes many people aware the way these stars live their lives. And that’s a far cry from what they preach. I did not write this to offend anyone. It’s just my view because I read comments and I never ever read how these stars changed people insight. No, you were very pragmatic but not offensive at all. I agree with you that some of his comments were out of place. But you must see that the spending of 400 millions generated( or at least kept) hundreds of jobs too. I noted all your suggestions: from the books to the websites and even the chicken soup as I too am recovering after a darn cold. I look at the kids, they have the same virus and feel 100 times better than me! Can’t. get. that! And they say kids can’t take a virus better? nonsense! Adults can’t take a virus anymore. Or at least I can’t. Sweet Jesus, you too kpriss ?? get well soon gurls !!!! I wish all the best for you ! Let’s take a peek at you writings despite the virus! thank you! That motivates me more than 10 ibuprofen pills / day (which I haven’t btw, but noticed with despair that 3/day won’t keep my virus in control)! And that will definitely make my virus turn green with envy and just… go away! By means of a gazillion kleenex I already used!